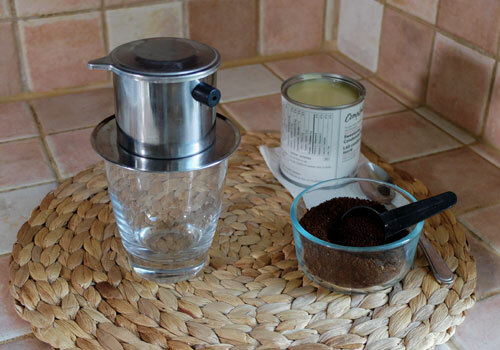 A video demonstration of how to make Vietnamese Coffee at home. 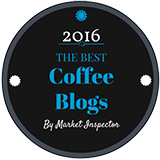 The first time I had Vietnamese coffee was in a small, way out of downtown restaurant in Austin, Texas. And I loved it. The setup they brought to our table – the traditional Vietnamese Phin filter - was exactly the same as the one we reviewed here. 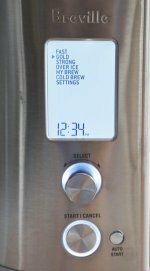 I suspect someone out there has cornered the market in these simple brewing systems. And they all seem to be made in Vietnam. That said, while the one we use in the video has a simple gravity spreader, I know you can also find models with screw-down spreaders as well. Anyway... we got ours through Amazon.com, and you can do the same if you want one. They’re super inexpensive and easy to use. 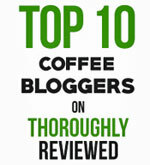 And while you’re on Amazon, you should do what I forgot to do, which is to order some Vietnamese coffee at the same time. Once you have one, just follow these instructions. For quantities, these are for a brewer with a brew chamber that holds about 8 fluid ounces. These brewers are available in several sizes. See how much water yours holds, and adjust quantities accordingly. Also, adjust according to taste. Step 1: Gather together all the elements of the brewer and your ingredients. For ingredients, that means ground coffee, condensed milk and hot water just off the boil. Turn on your kettle, or put it on the stove, for the hot water. Step 2: Pour some condensed milk into the glass. About two teaspoons. Step 3: Place the drip tray on the top of the glass, then the brew chamber on top of that. Now add your ground coffee to the brew chamber. About one heaped tablespoon. Step 4: Insert the gravity spreader so it sites on top of the ground coffee. Don’t push it or press it. Just let it sit there. Step 5: Add just a little water to the brew chamber. Just enough to wet the ground coffee under the spreader. Let it do its thing for 15 to 20 seconds. Step 6: Now pour in the rest of the hot water, up to the top of the brew chamber. Add the lid and leave it to drip. This is a gravity drip process and will take 3 or 4 minutes. Step 7: Take the brewer off the glass, stir the coffee into the condensed milk... and enjoy! Step 8: Experiment with quantities next time you do this, and keep at it until you get it just the way you like it. OK... That’s it. Vietnamese coffee. I hope you enjoy it! Here are those Amazon.com links again. The elements you need... the brewer, condensed milk, ground coffee... and, of course, hot water. 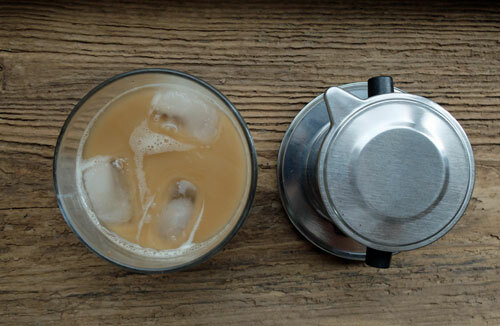 This is also a great way to make a rich and creamy iced coffee.